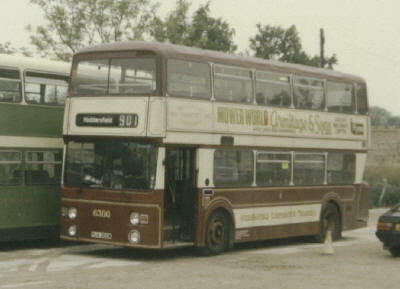 In 1983 the W.Y.P.T.E. 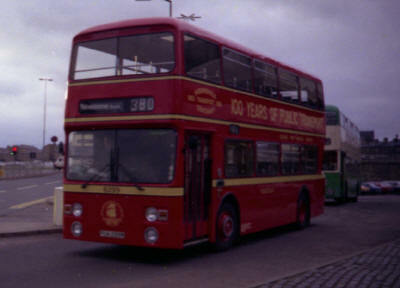 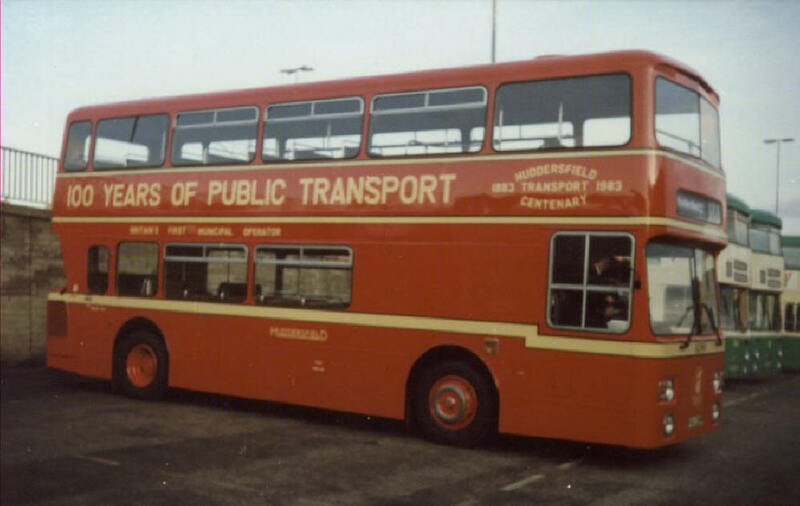 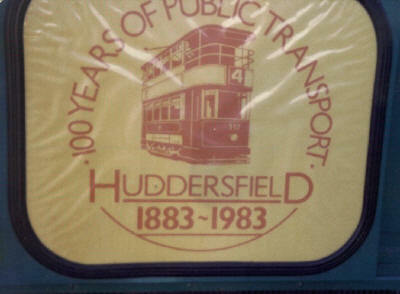 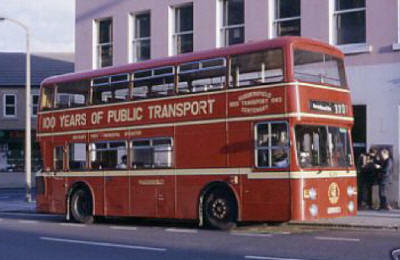 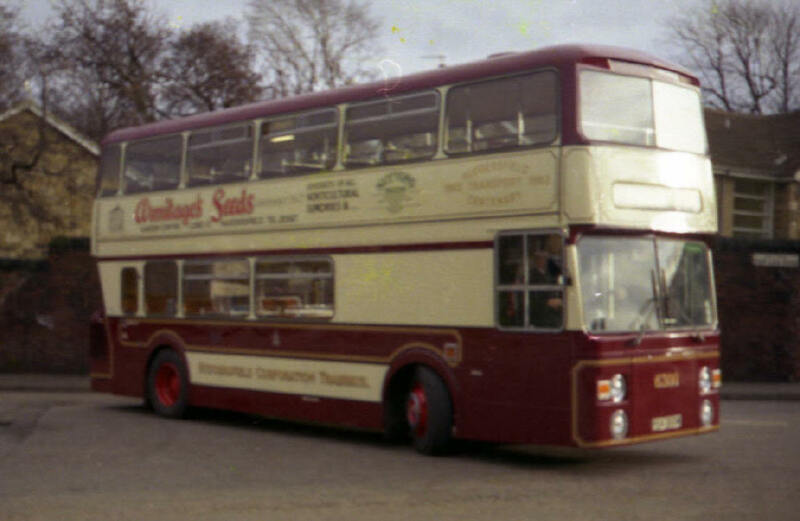 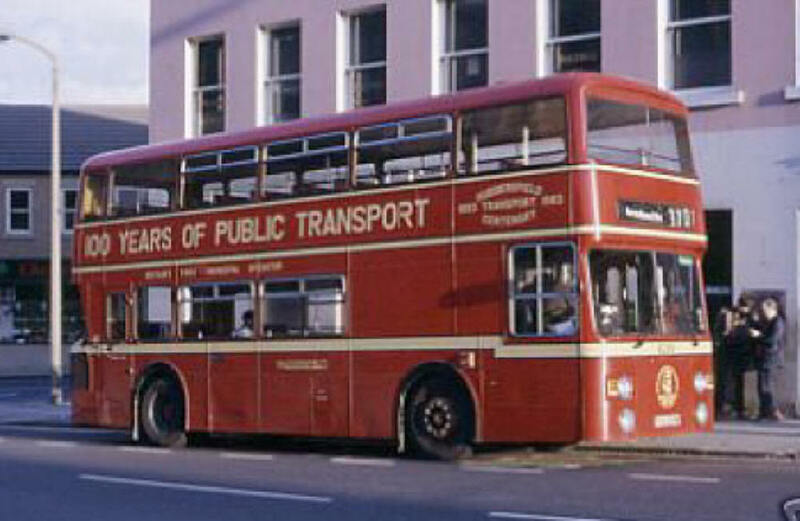 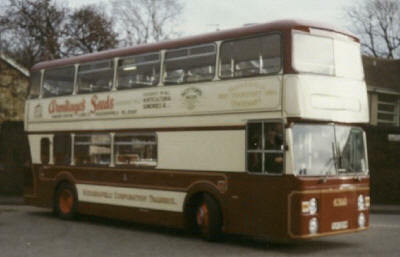 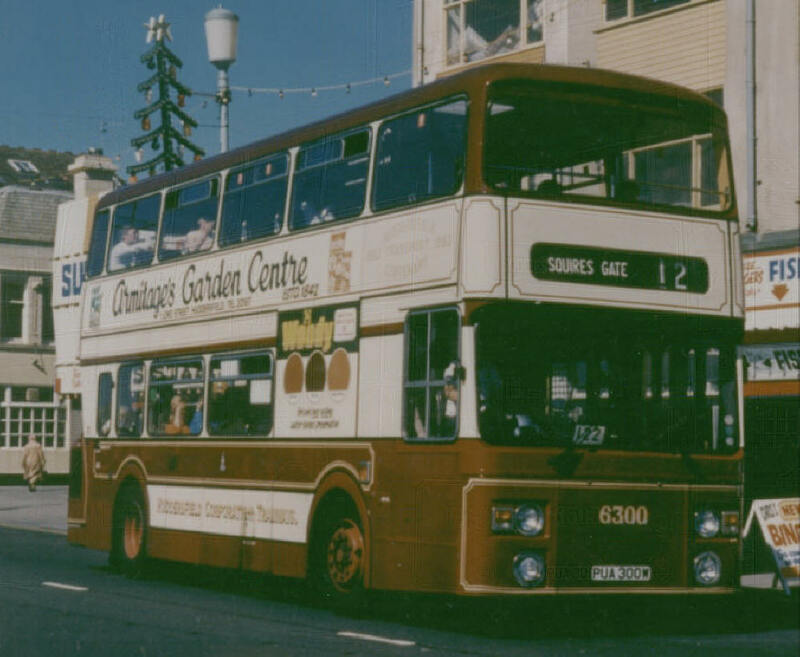 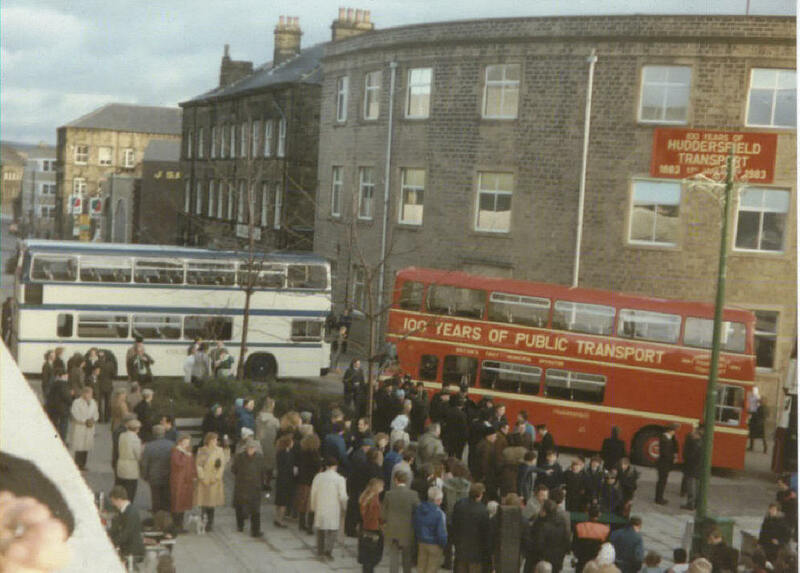 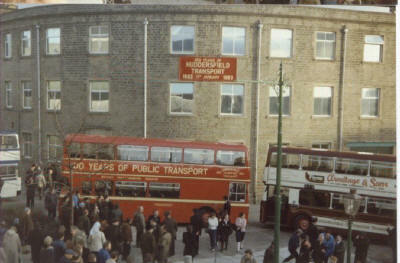 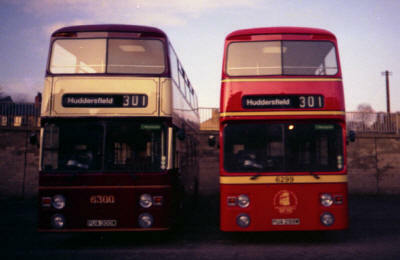 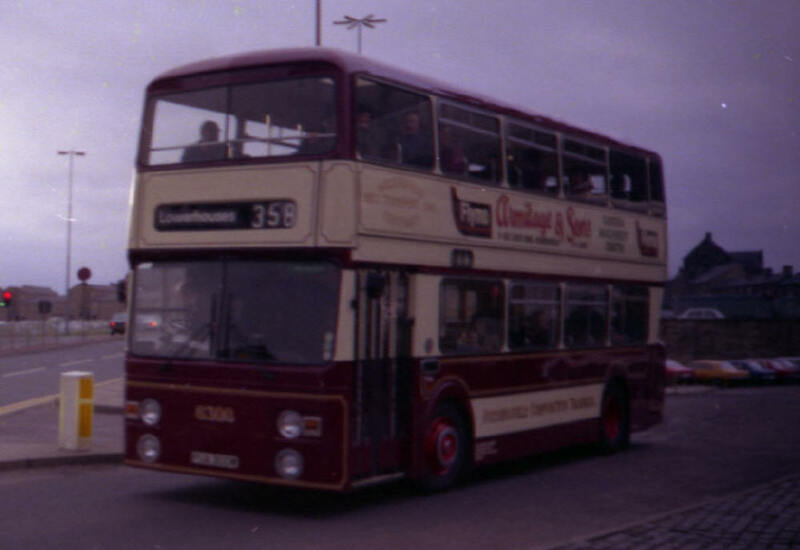 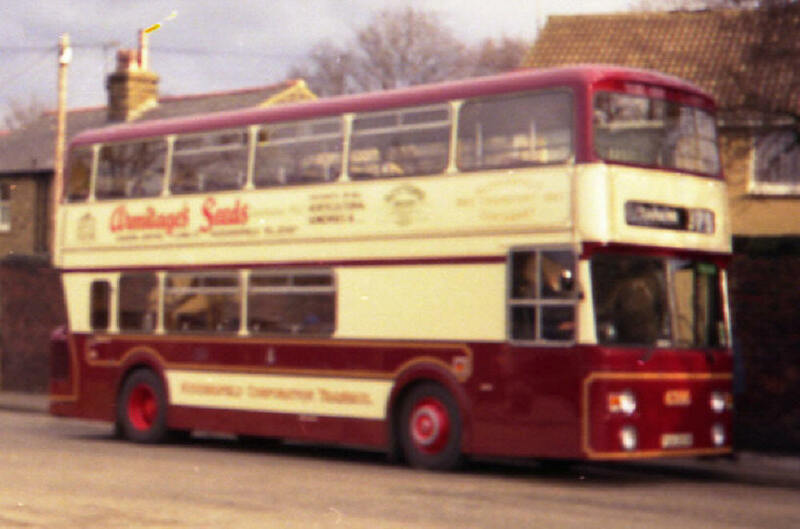 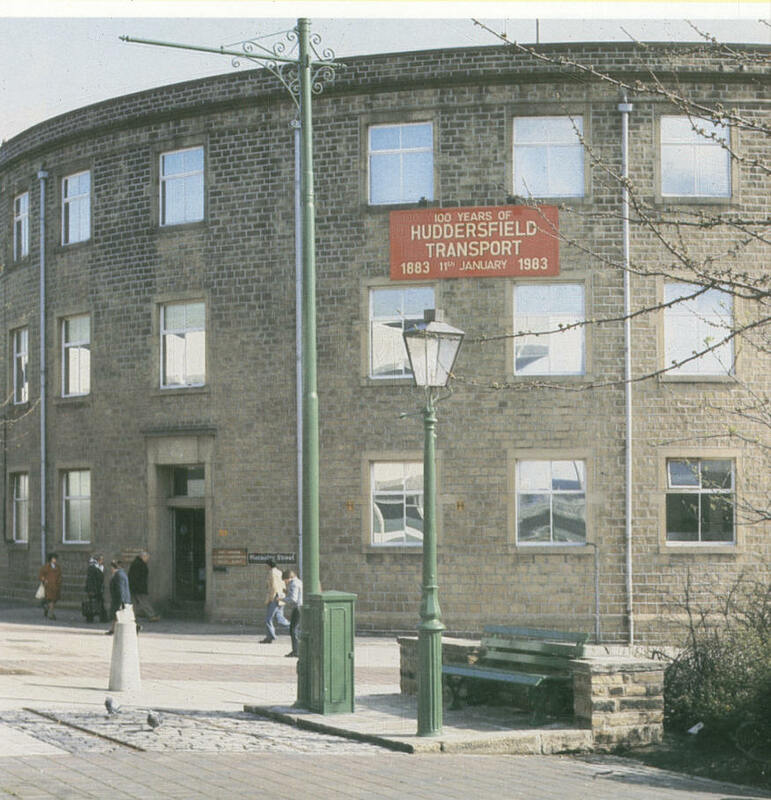 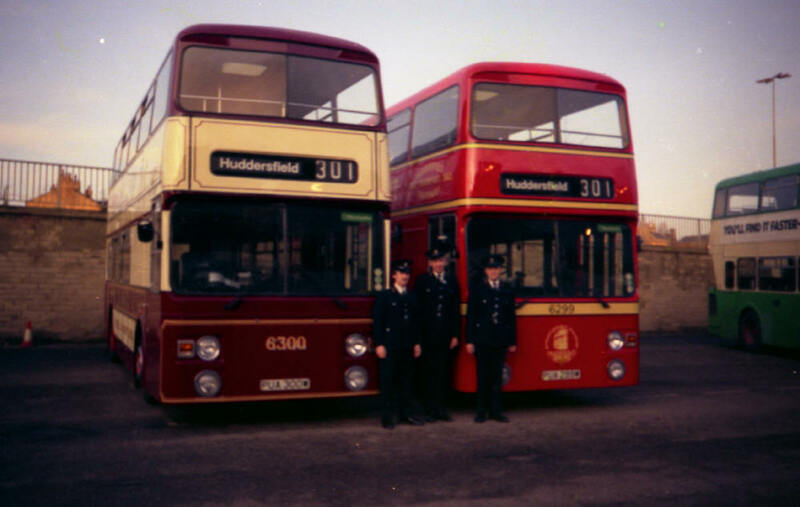 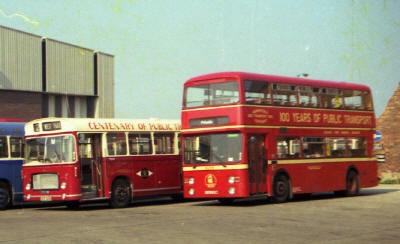 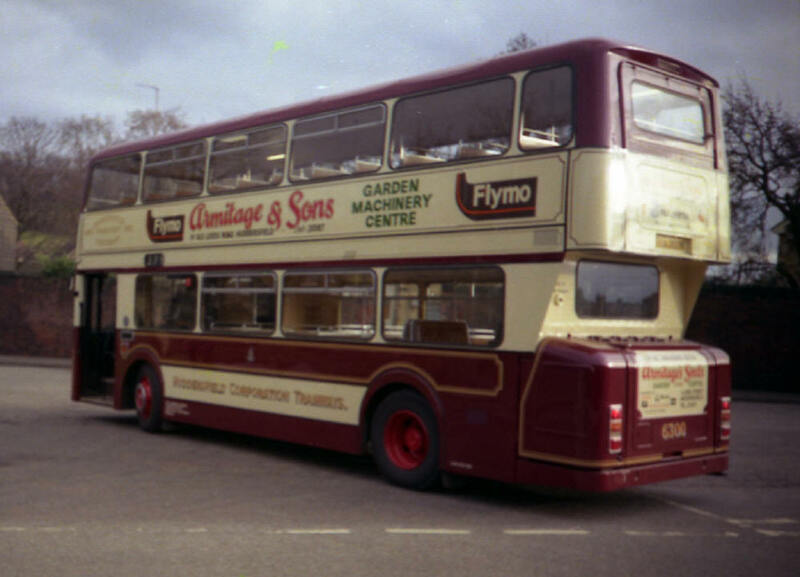 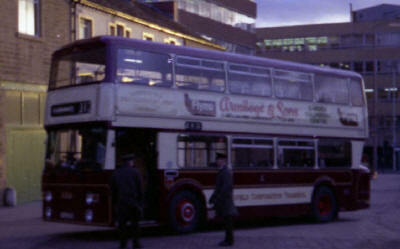 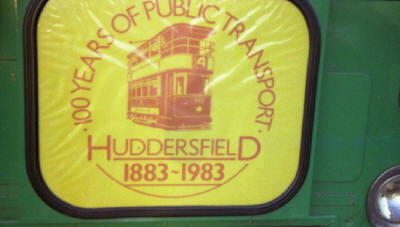 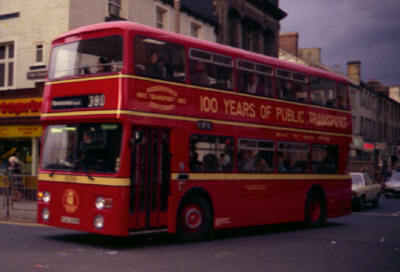 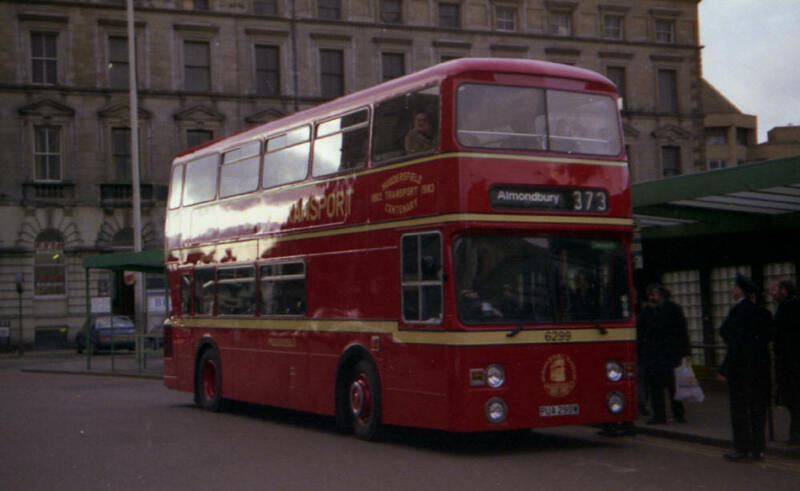 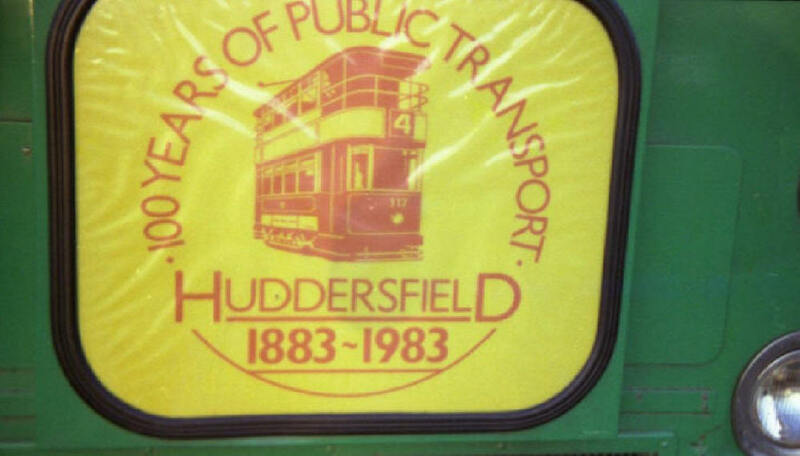 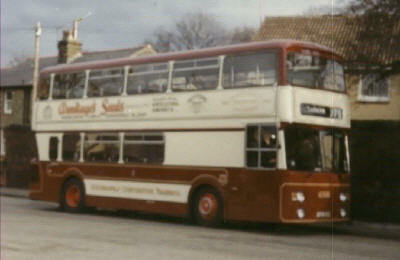 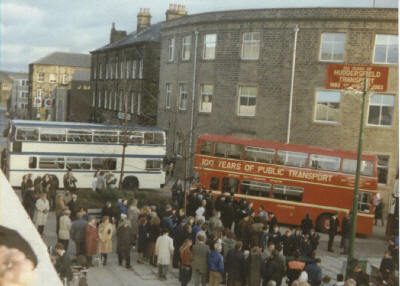 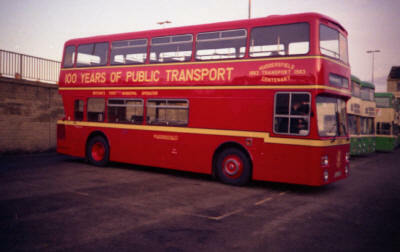 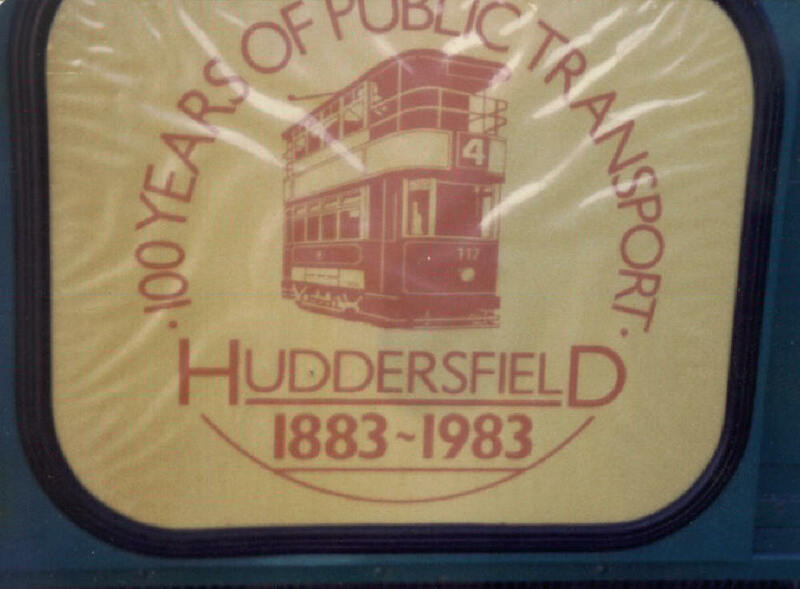 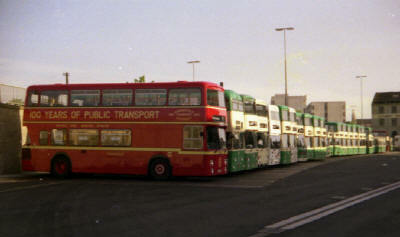 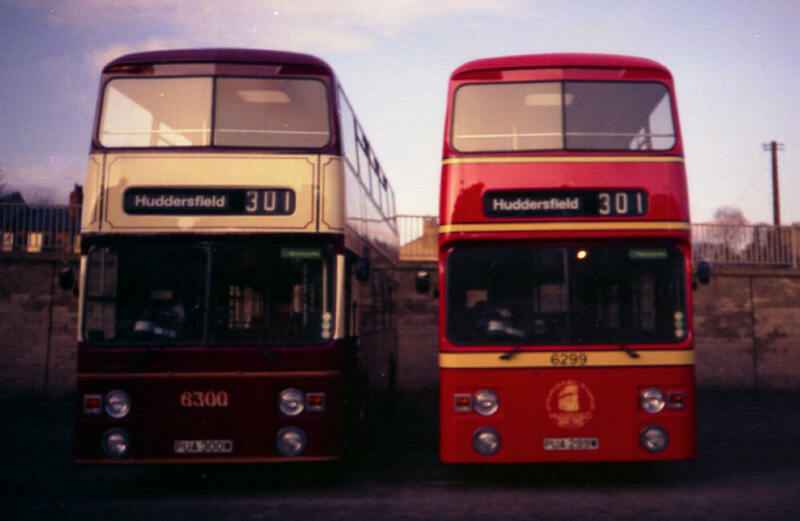 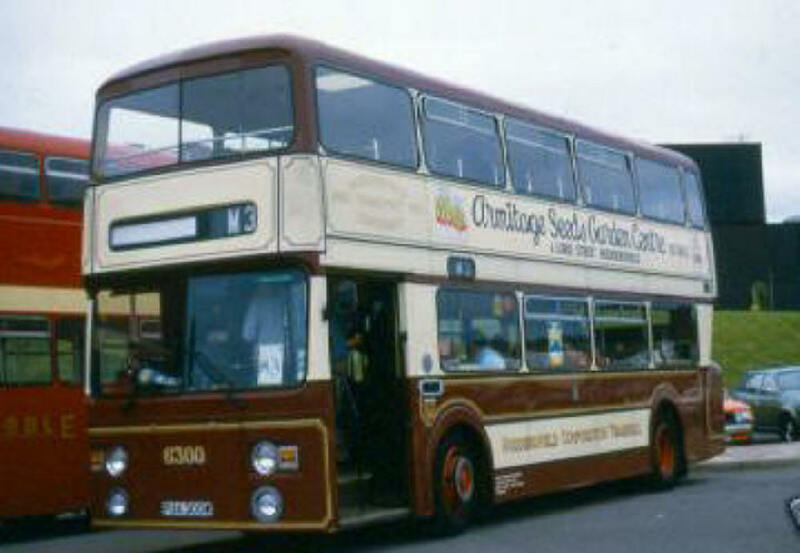 celebrated the centenary of the First Municipal Operator ‘Huddersfield Corporation’ on 11 January 1983 when bus 6299 commenced operation in the livery of ‘Huddersfield Joint Omnibus Committee’ and bus 6300 commenced operation in the ‘Huddersfield Tramways’ livery both these buses in 2002/3 were acquired for preservation as was 6297 these are Leyland Atlanteans with C.H.Roe bodies built in 1981 to the W.Y.P.T.E. 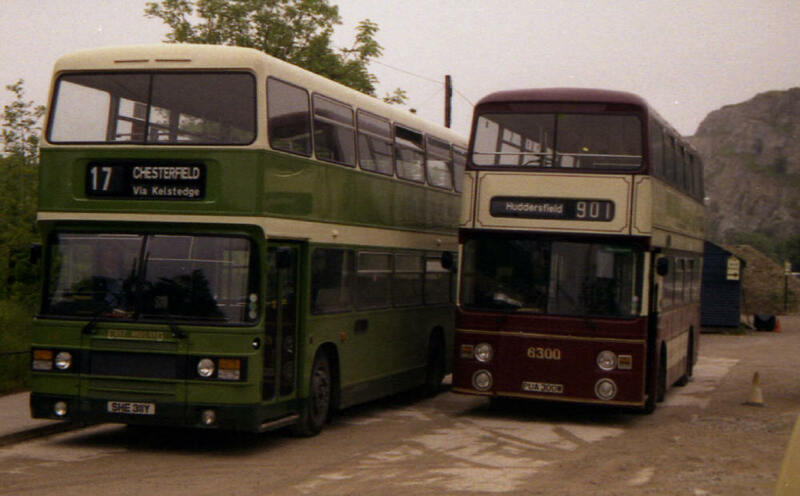 style, 6299 and 6300 join former W.Y.P.T.E. 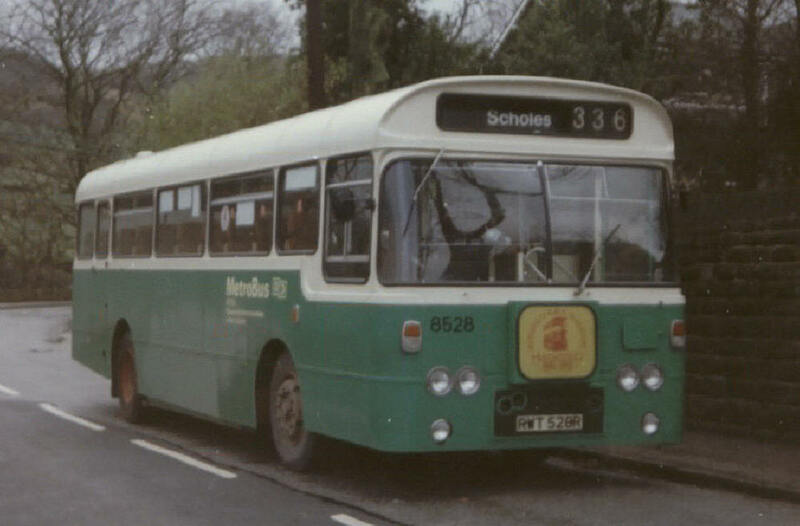 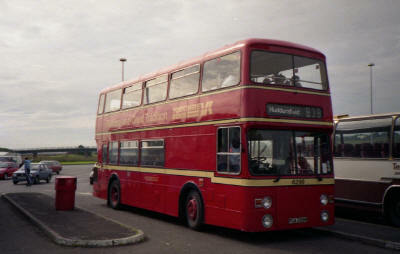 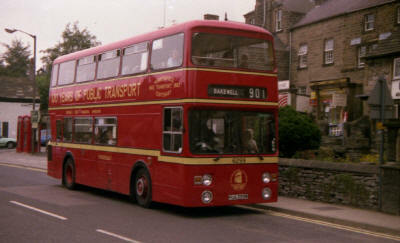 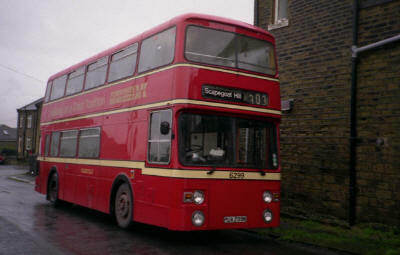 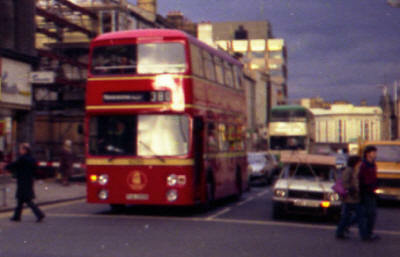 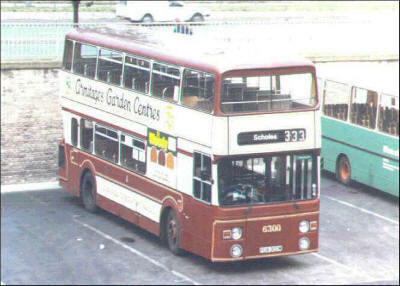 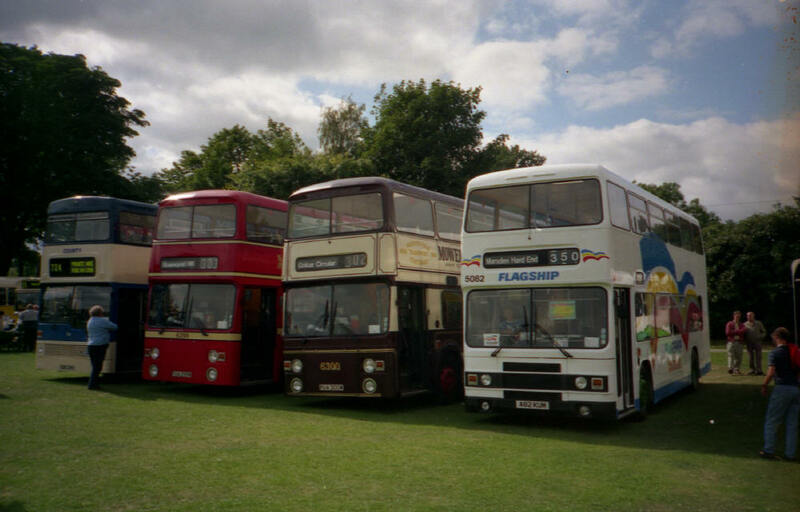 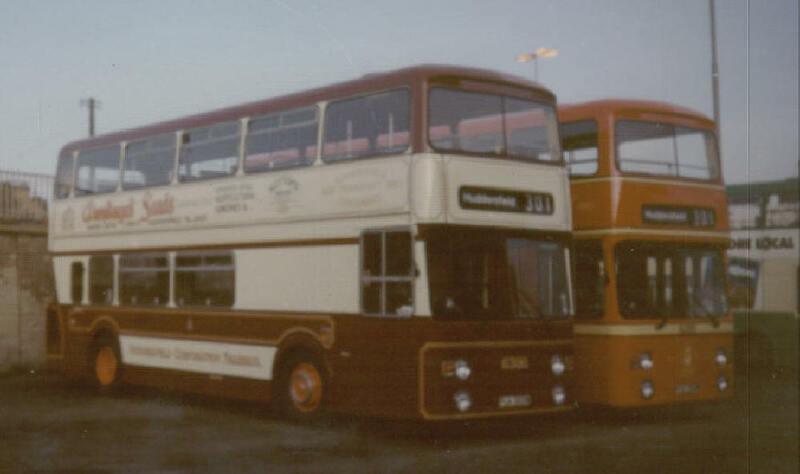 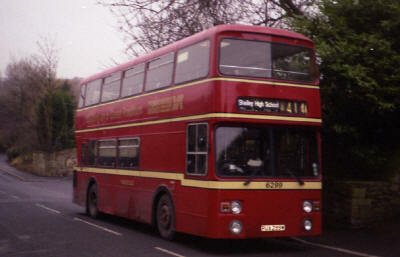 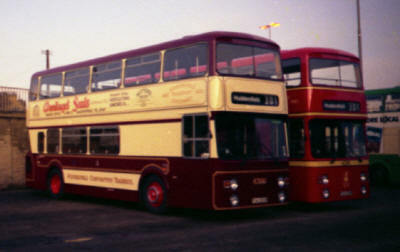 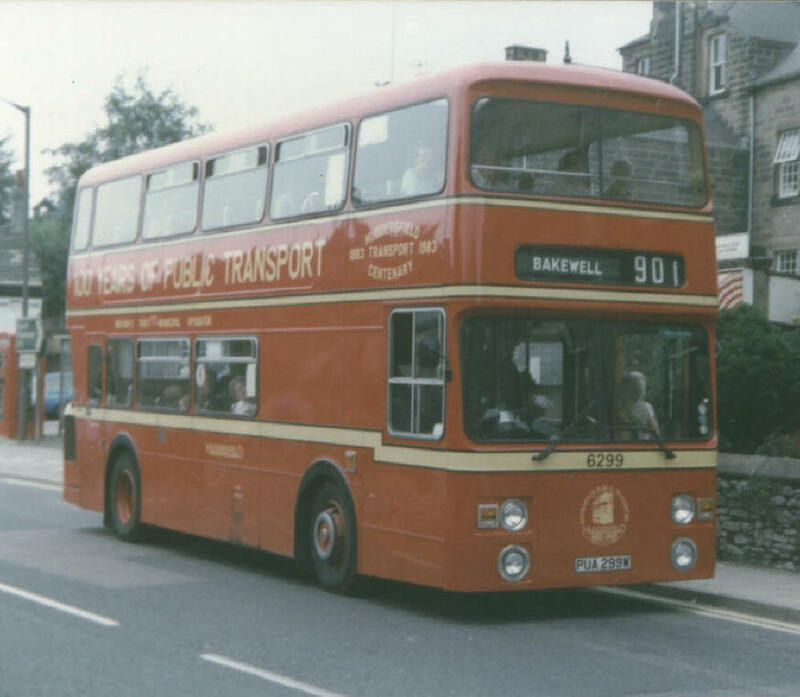 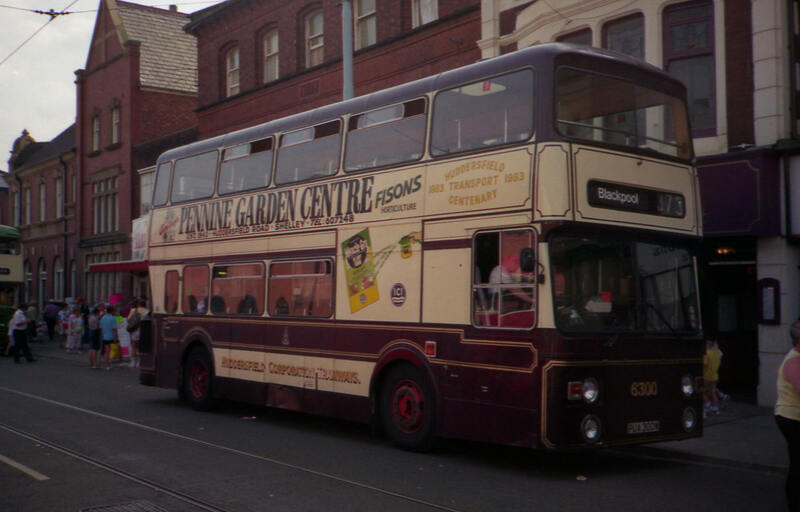 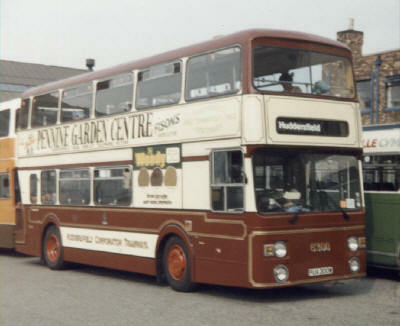 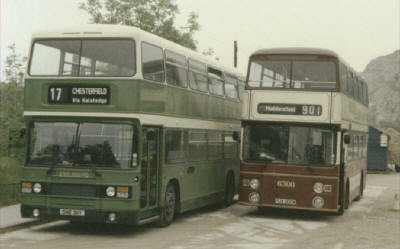 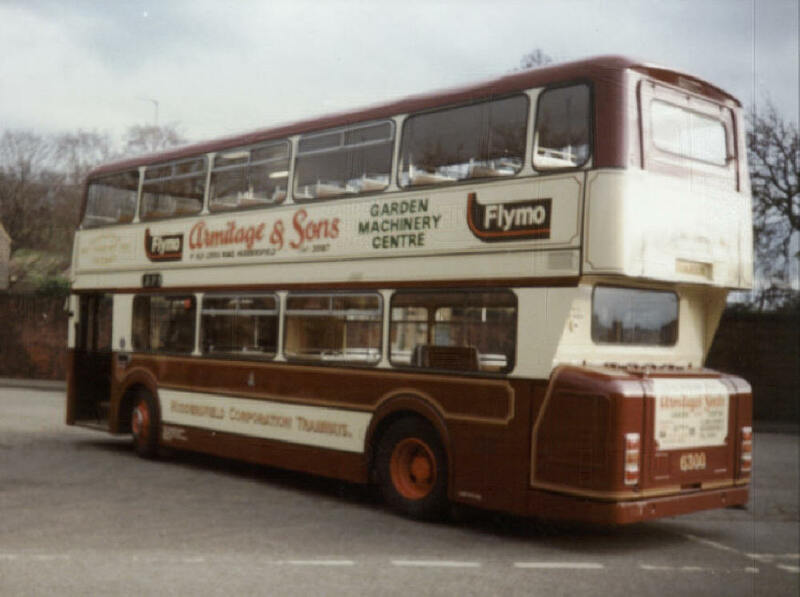 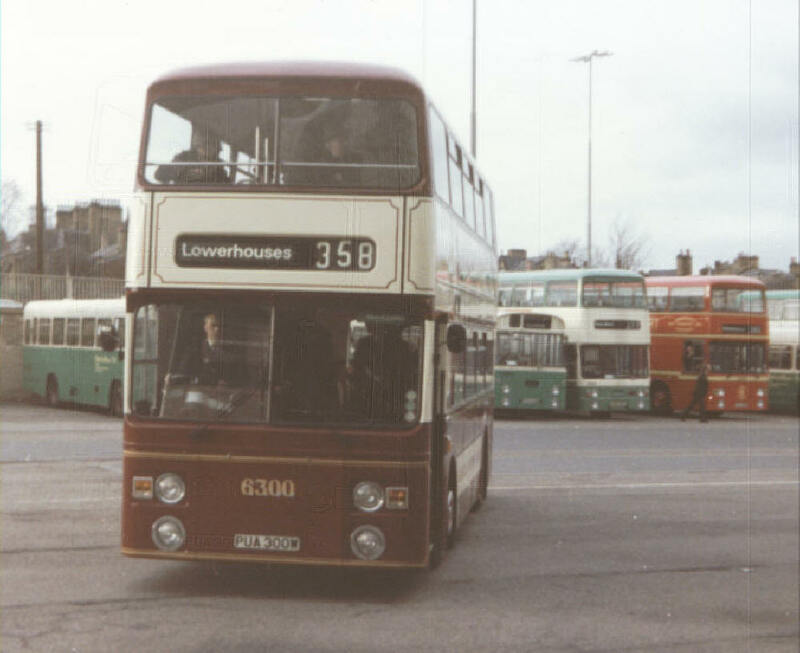 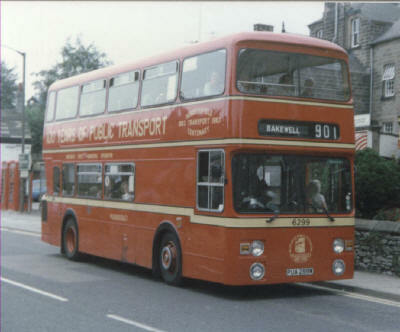 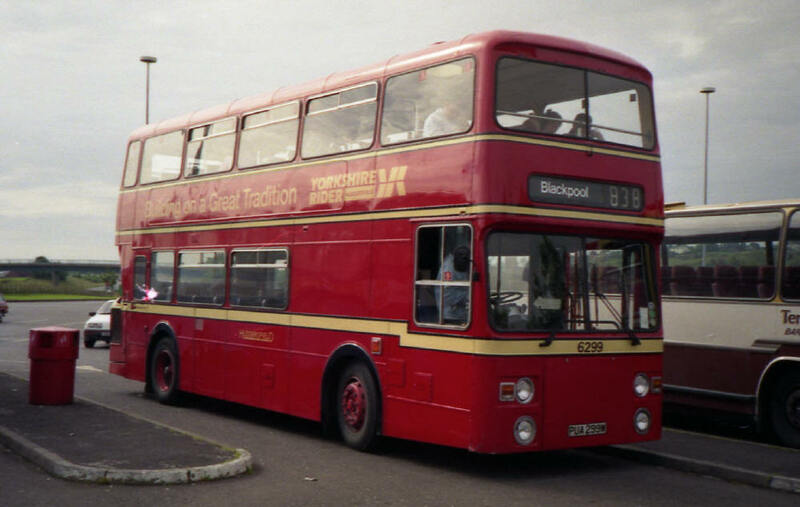 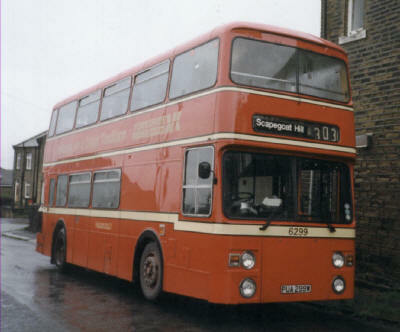 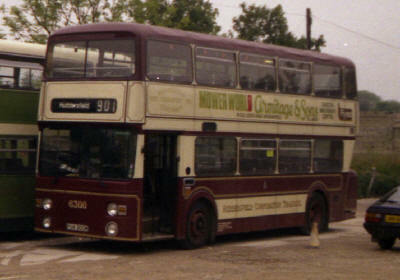 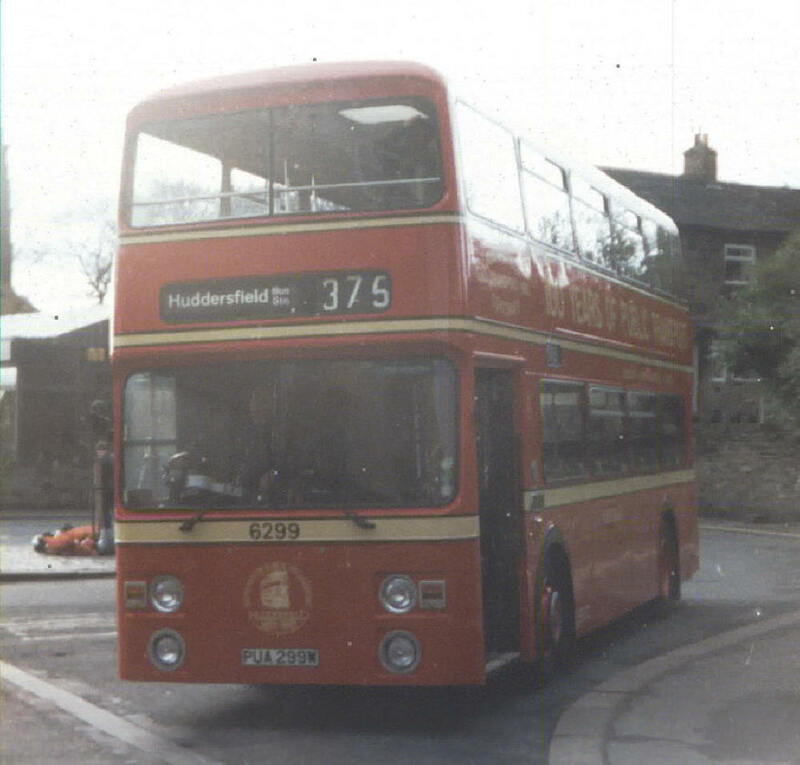 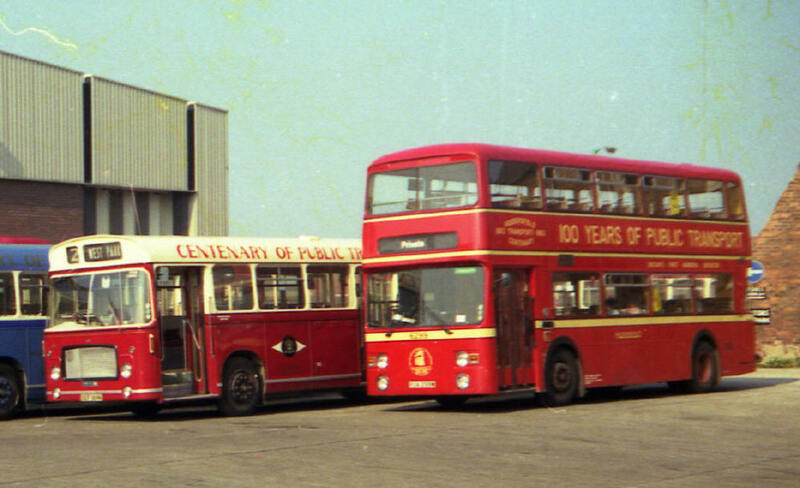 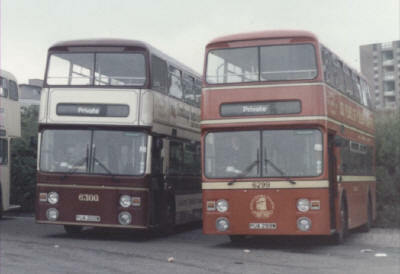 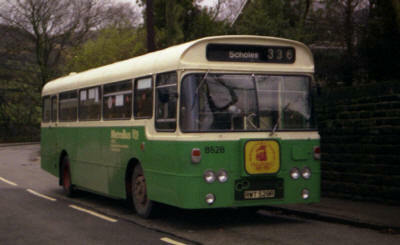 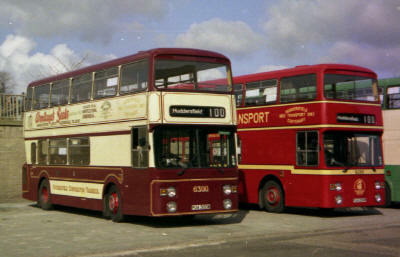 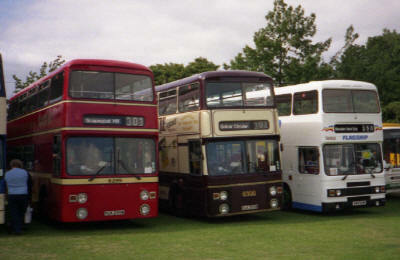 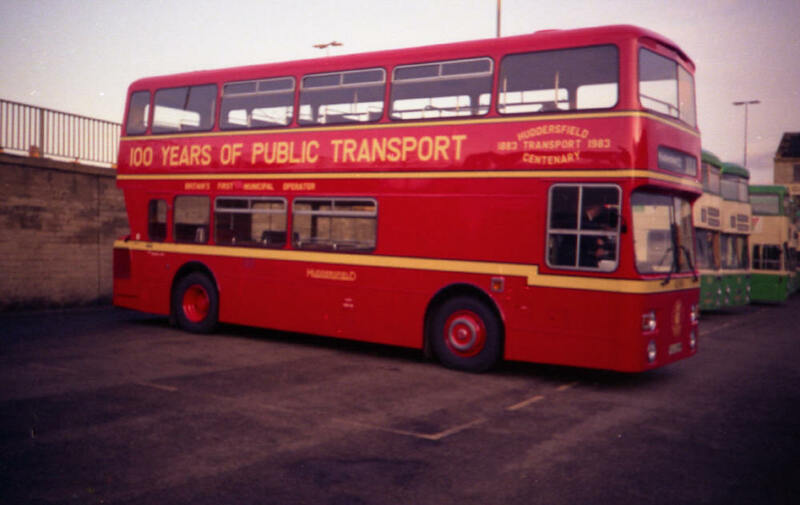 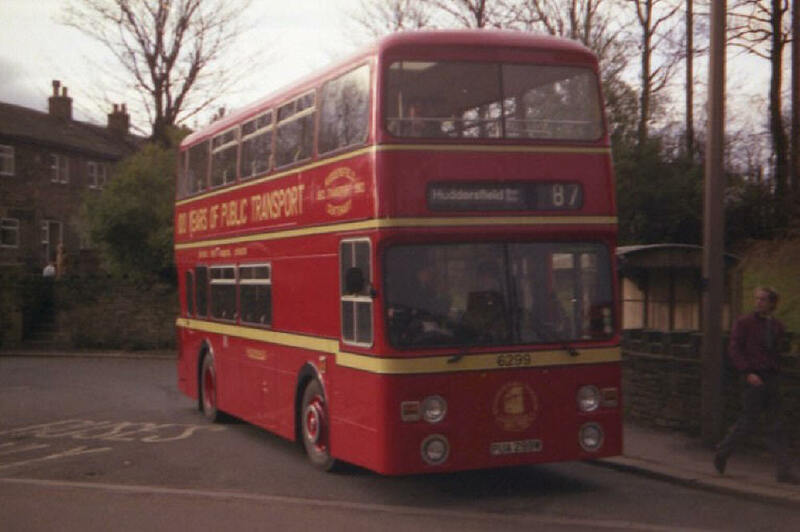 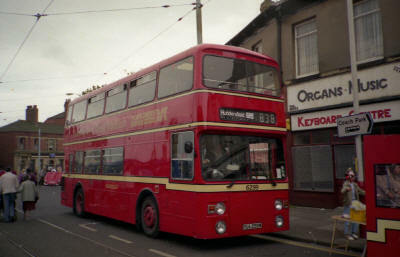 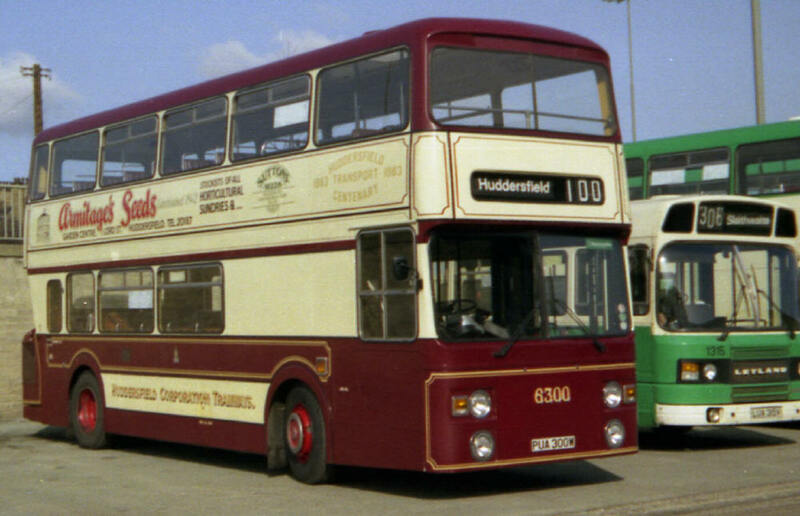 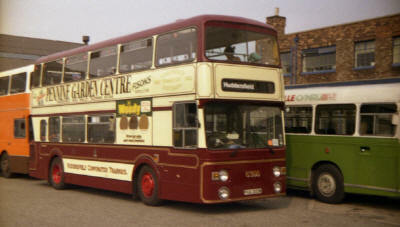 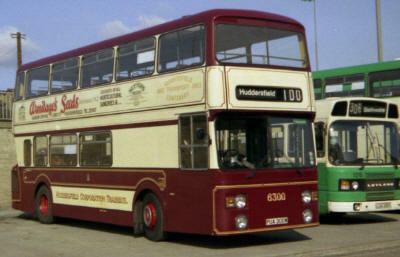 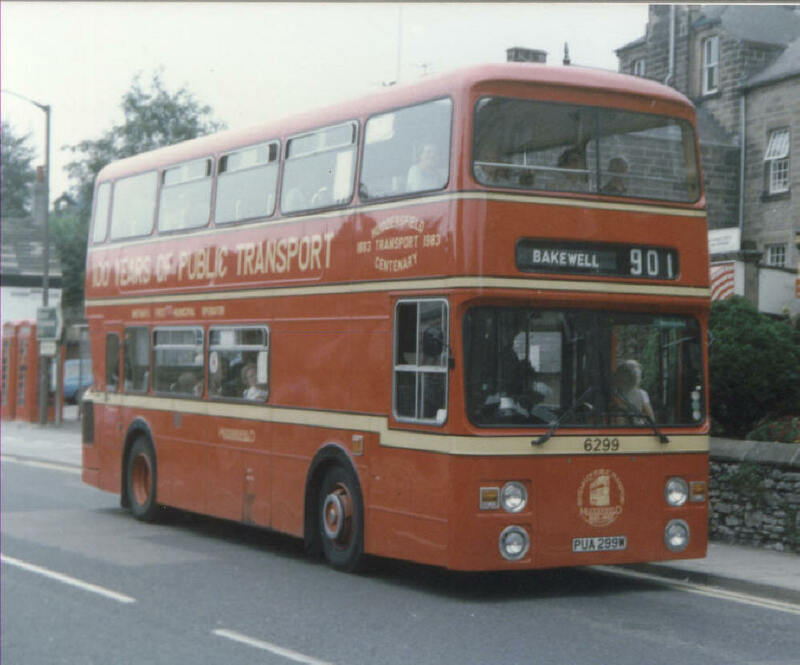 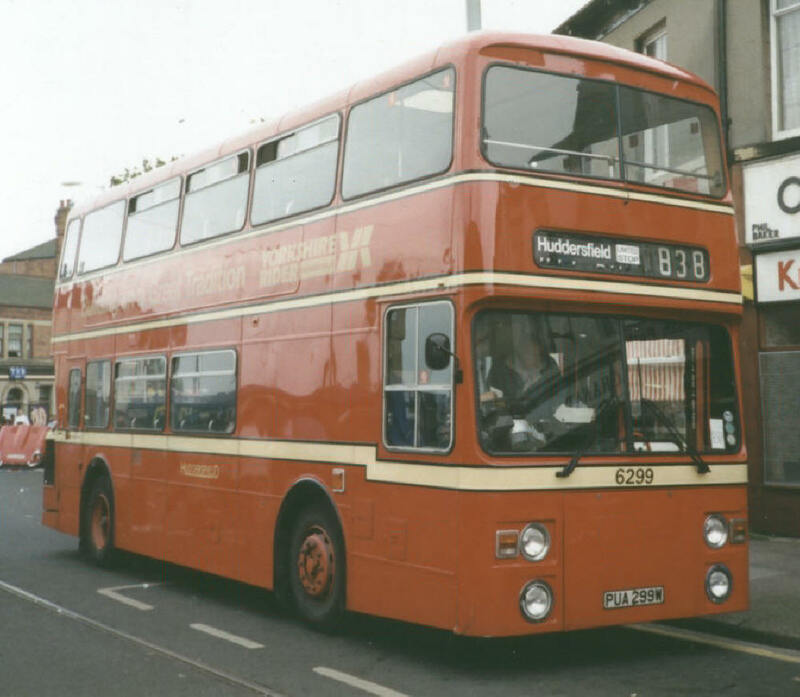 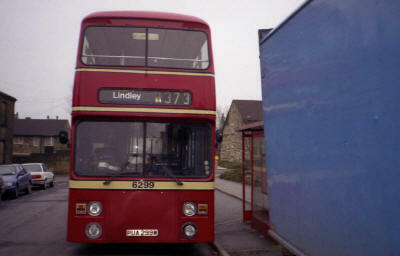 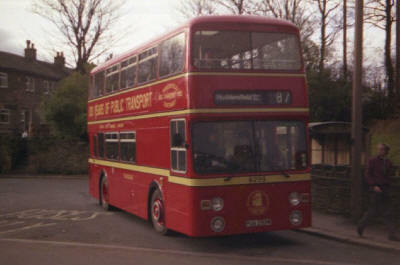 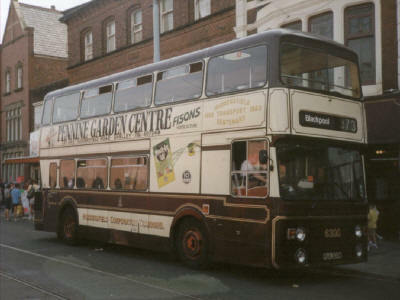 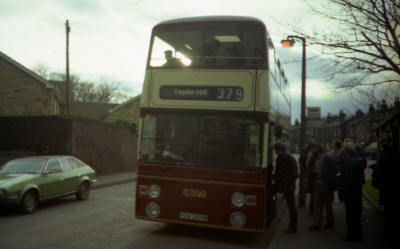 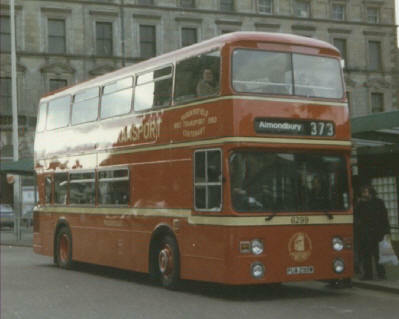 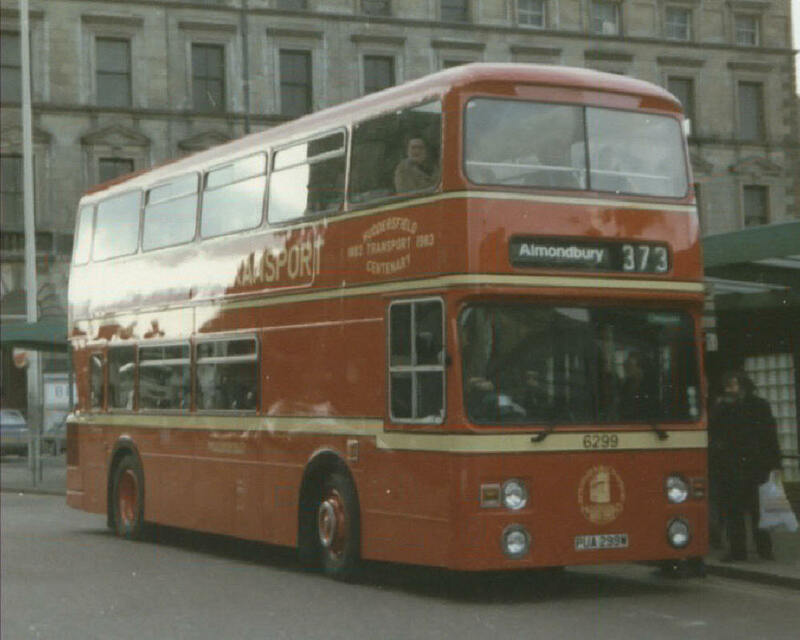 (Kirklees) Leyland Leopard with Plaxton body 8501, a similar bus 8528 was decorated for Huddersfield Centenary. 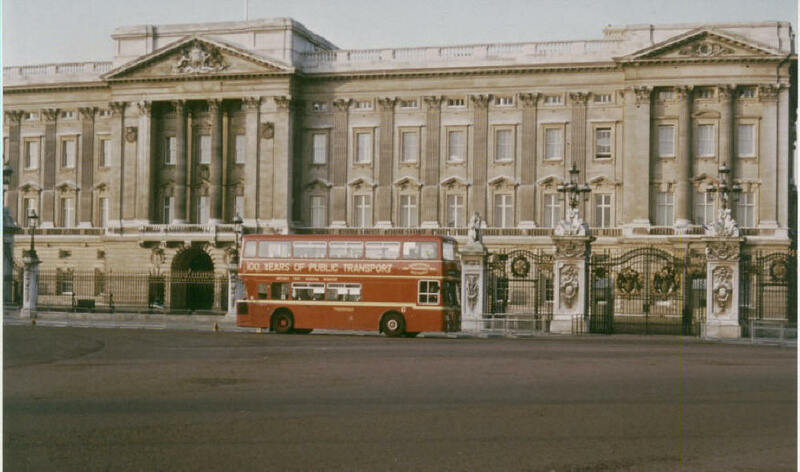 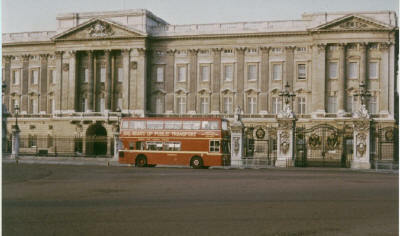 Other buses from the P.T.E. 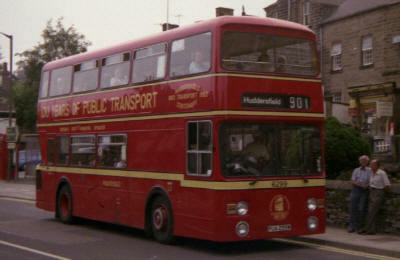 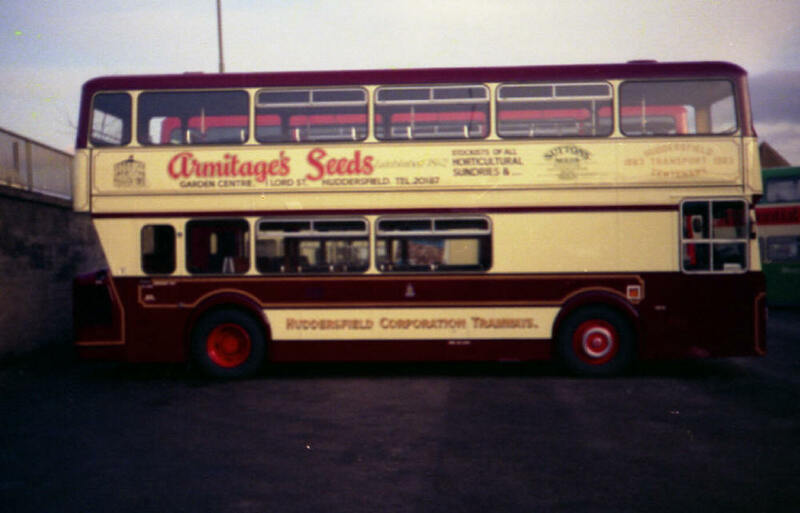 (Kirklees) 7136 a Roe bodied Daimler Fleetline are also preserved.